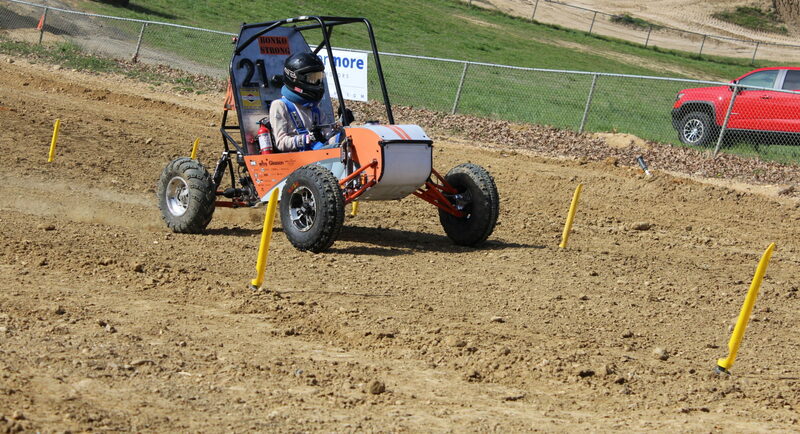 This year one of our goals is to reduce our error during frame manufacturing. In previous years, our team has had some issues keeping the frame completely square, so this year, we worked with our adviser, Professor Muir, to solve this problem. After a few discussions, Gaetan designed several different fixtures to help us with manufacturing our frame. He used our CNC router to cut holes at specific locations in a piece of wood, and then he put short pieces of PVC in the holes to create fixtures that would lock the fame pieces in the correct position. By creating these fixtures, we have been able to ensure that our frame subassemblies are square and in-plane. At the time of writing this, the frame group has just a few more members left to install. 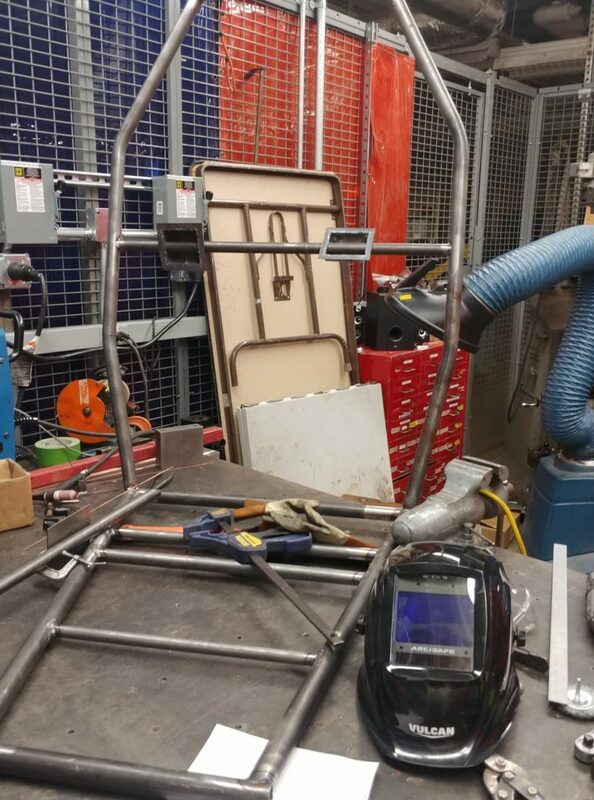 Gaetan has been working hard, and has managed to weld together all the frame subassemblies that were manufactured using his team’s fixtures. What’s really impressive about our frame manufacturing is that the last few members are all quick and easy ones. I wouldn’t be surprised if our frame is done before the end of January. Because we have been able to get the frame (mostly) done in such a timely manner, we are hoping to be able to get some good strain gauge data to determine the forces in several frame members during test drives. Ethan and his electronics group are already working with Gaetan to determine which members we want to attach strain gauges to in order to get the most information about how forces are present in our frame.